Guangzhou Nye Trading Co., Ltd.
Payment 30% deposit, 70% balance before shipment. We look forward to build a long term relationships with you. If you have any questions, Please feel free to contact us! Fonia Garments & Accessories Co., Ltd.
2. Extensive Experiences 16 years of production experience. 3. Develope New products every month There are more than 1,000 new products developed for each month. 4. 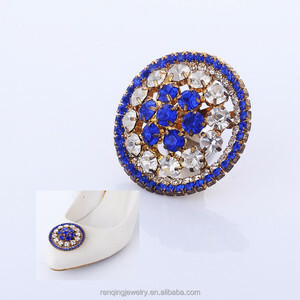 High Quality Guarantee The metal color will never fade and the diamonds will not come off. Zhangjiagang Kingway Imp. & Exp. 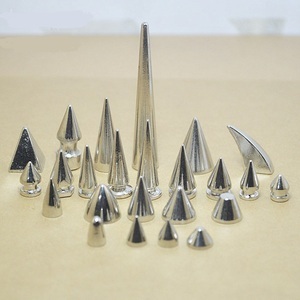 Co., Ltd.
Production Description Metal alloy custom design tree climbing spike Product name Rivet Shape Circular cone Original GuangDong province, China Color Nickle, antique brass, black nickle etc, We can provide you our color charts for choice. Techology Rolling-plating Material Iron /brass Weight 2.7g,2.2g Size 9.5*9.5mm,10*6mm(length*high) Customer design & logo Accept the custom order,Any logo and design can meet MOQ 10000set/sets Capacity 10000000 sets/month Sample available and free Delivery 7-10 days after you confirm the order Payment T/T , western union and Escrow Package 1000set/sets;2000 sets/sets or welcome the customer to request on packing Product Pictures Application Company Introduction GuanHua Hardware Manufactory is the professional accessory manufacturer which is located in the Foshan city GuangDong China. Order process: Payment & Deliver 1.Shipping terms: Air, Ship ,Express( DHL, UPS, FEDEX, TNT, EMS) 2.Dispatch would be arranged in a week, once the payment is confirmed. 3: Do you provide samples 9 is it free or extra 9 We are honored to offer you samples. New clients are expected to pay for the courier cost, while the samples are free. Different kinds of materials, size, colour, shap can be changed according to our designs. 2.Stretch Ice Grip over sole of shoe and attach edge marked BACK over the shoe heel , ensuring a good tight fit is achieved. 4.Our Clients 5.Our Company Kingway Int'l is one of leader manufacturers and exporters for kinds of shoe care products in China. Now, Kingway Int&rsquo;l have two own manufacturers and one export Since 1994, Kingway Int&rsquo;l started to make shoe laces. 2) Lead time for making sample:about 5 days 3) The transportation freight of samples: the freight depends on the weight and packing size and your area. 4. Q: What is the whole process for doing business with us 9 A: 1) First,please provide details of the products you need we quote for you. 2) If price is acceptable and client need sample,we provide Proforma Invoice for client to arrange payment for sample. 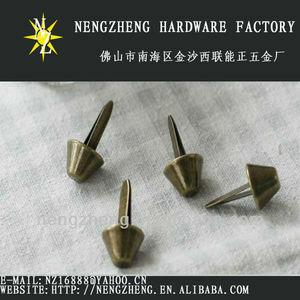 Alibaba.com offers 324 decorative spikes for shoes products. About 15% of these are garment rivets, 14% are shoe decorations, and 12% are other parts & accessories. 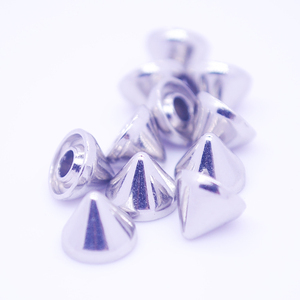 A wide variety of decorative spikes for shoes options are available to you, such as metal, zinc alloy, and plastic. 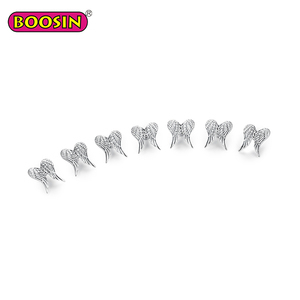 You can also choose from shoe decorations, decorative nail, and shoe uppers. As well as from shoe buckle, chains, and shank. And whether decorative spikes for shoes is free samples. 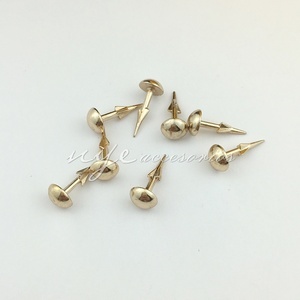 There are 324 decorative spikes for shoes suppliers, mainly located in Asia. 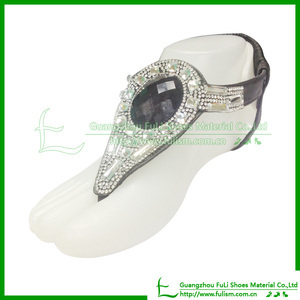 The top supplying countries are China (Mainland), Taiwan, and Pakistan, which supply 99%, 1%, and 1% of decorative spikes for shoes respectively. 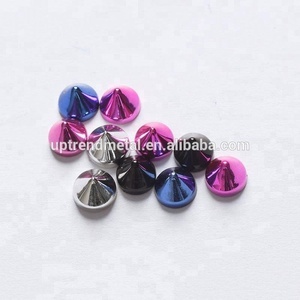 Decorative spikes for shoes products are most popular in North America, Western Europe, and Domestic Market. You can ensure product safety by selecting from certified suppliers, including 53 with ISO9001, 35 with Other, and 1 with FSC certification.